On Friday, the CBC’s week of Hip Hop Summit events culminated in a day-long celebration that included a breakdance battle, marketplace, concert screening, and art show, while pillars of the community waxed philosophical in panel discussions in the Glenn Gould Studio. While we love CBC’s efforts to recognize hip hop’s place in the Canadian mainstream, we also wonder whether they’ve gone far enough, and whether the Summit really did a good job of incorporating hip-hop consciousness into the Mother Corp.
Diana Reyes, a.k.a. Fly Lady Di, paints on a collaborative canvas. Critics might not have seen the CBC as particularly synchronous with hip-hop culture before this week, when the often-folksy broadcaster got into the rap game with its Hip Hop Summit. Celebrating 25 years of hip hop in Canada, the summit recognized a culture that has a strong history and a devoted community—and for that, the CBC deserves some respect. As our public broadcaster, CBC has a mandate to show us ourselves. In that respect, hip hop and the CBC have something in common. Hip hop is about where we’re going and what we’re doing, and the CBC’s mandate is to reflect Canadian culture. After this week, it’s safe to say the two make excellent bedfellows. Canada and hip hop have a lot in common. When panelist and MC Ian Kamau told us that one of the main challenges of representing the hip-hop community is conveying the scene’s inherent diversity—”like a lot of other communities that just get spoken about like it’s one simple community and everybody inside that community falls into certain norms”—we can’t help but conjure up images of a plaid-swathed Canadian watching hockey on his canoe-shaped TV with a domestic beer in hand. Sure, that guy is real, and that version of Canada is out there. But using plaid guy to represent all of Canada is as ridiculous as using Classified to represent all of Canadian hip hop. Hopefully the Hip Hop Summit is just the first of many moves towards integrating hip-hop culture into an organization not traditionally known for being tapped into what’s cool on the streets. But like Kamau says, those changes have to grow from the ground up. He points to those on the inside and in the know, like Errol Nazareth and Metro Morning host Matt Galloway, but wonders if the institution as a whole is receptive to changing. Sustained dedication and interest in the community was a recurring theme. 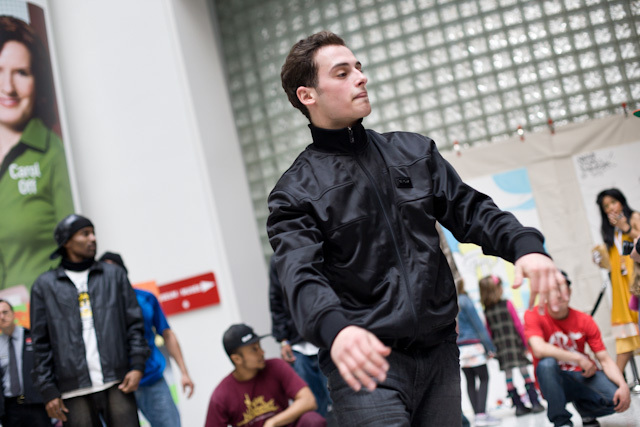 During Thrust’s performance in the atrium, the rapper emphasized that the culture still isn’t getting the respect it deserves. “We died for this,” he said, asking why MuchMusic doesn’t cover rap like they used to. Why Drake got shut out at the Junos. Why this culture still doesn’t get the mainstream’s attention. If the CBC’s mission was to celebrate hip hop for one month, they pulled it off. It’s just that one month is not enough. Written by Saira Peesker and Sarah-Joyce Battersby. 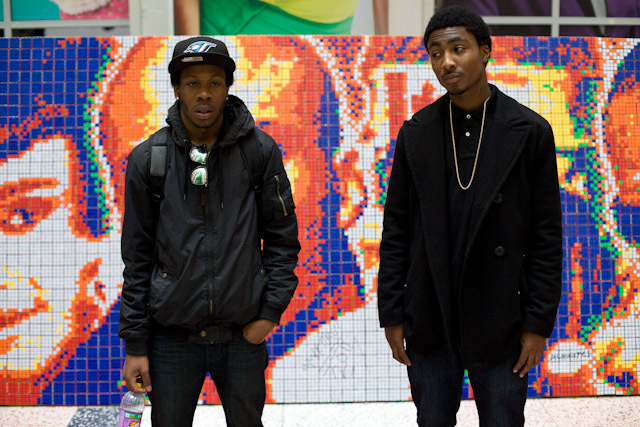 Photos by Nick Kozak/Torontoist.